The atmosphere of this space never ceases to pleasantly surprise us. We know from experience the sense of satisfaction felt when walking out of the door of this room. Not to mention, the unforget-table view of the historic city center of Amsterdam afforded by the stately windows. Truly extraordinary, right? Our showstopper! 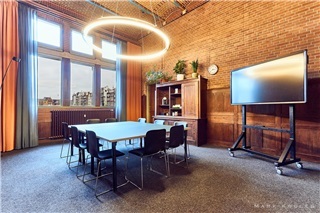 A monumental room with an amazing view on Amsterdam Central Station. Throughout the room there are countless details denoting the rich history of both the room and building itself. 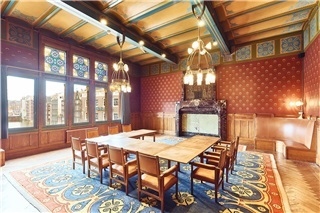 The room originally functioned as the boardroom for the board of directors of the stock exchange. It is truly a unique opportunity to host your event in this impressive space. 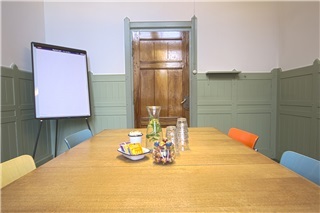 Also possible to utilize this room in conjunction with the Getuigenkamer. A spacious hall abounding with windows, as you can see! 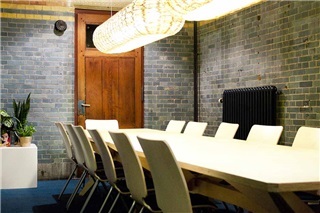 The Leeszaal is easily customized to a variety of meeting setups. The room affords guests a sense of tranquility due to its location on the side of the building. This room also features its own ensuite break-out room. This room is both spacious and intimate, the perfect balance for your made-to-measure meeting. 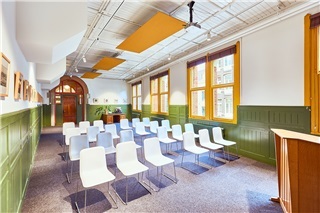 The historic atmosphere of the building abounds in this space and of course, there’s the view of Amsterdam’s Central Station which can’t be beat. This space is a popular break-out room for larger meetings. With its high stained-glass windows, the Portiersloge is suitable for a group that is neither large nor small but rather just right. The Portiersloge easily affords guests quiet focus, or creative and lively interaction. The character of the meeting space will surely inspire you either way. 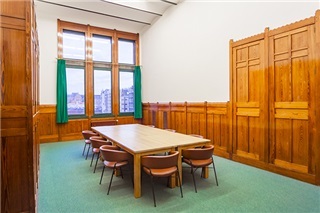 Enjoy the comfort and focus afforded by one of our more modestly sized meeting rooms. The size of the room makes it ideal for one-on-one meetings. 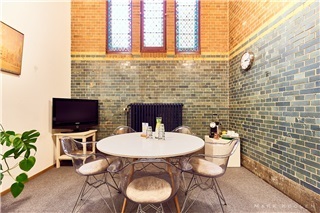 As with all of our other rooms, the allure of yesteryear pervades the space; from the stained glass windows, to the original turquoise bricks decking the walls!